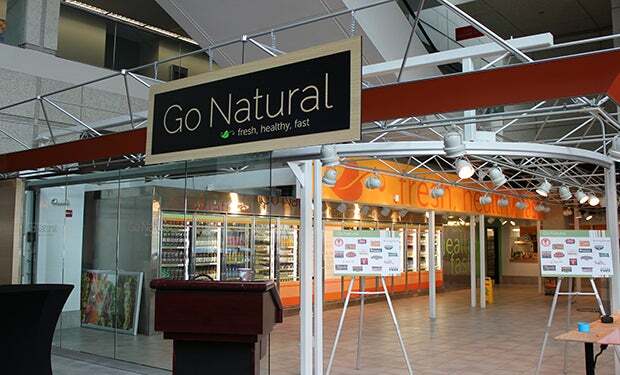 Go Natural located on the concourse. 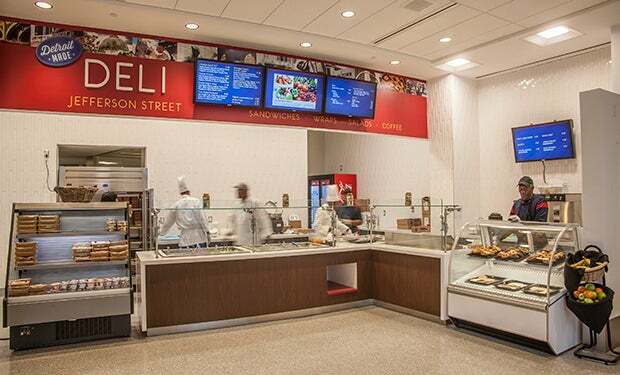 Made fresh daily. 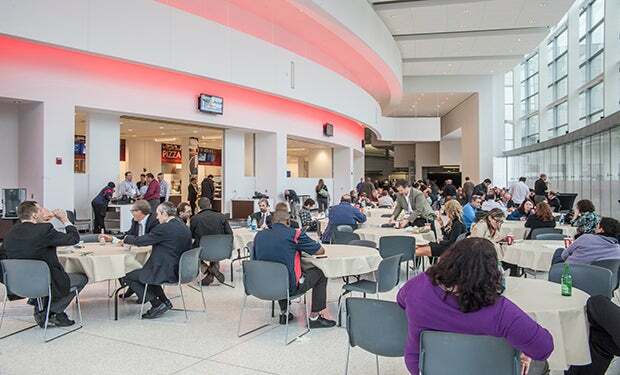 Food and Beverage Catering Services are provided by Centerplate, the exclusive caterer for the Cobo Center. When the new Cobo Center Grand Riverview Ballroom opened in 2013, it became the premier banquet and event facility in the Detroit area. With 40,000 square-feet, divisable into smaller areas by retractable walls, the Grand Riverview Ballroom offers stunning views of the Detroit River, downtown and Windsor, Ontario. 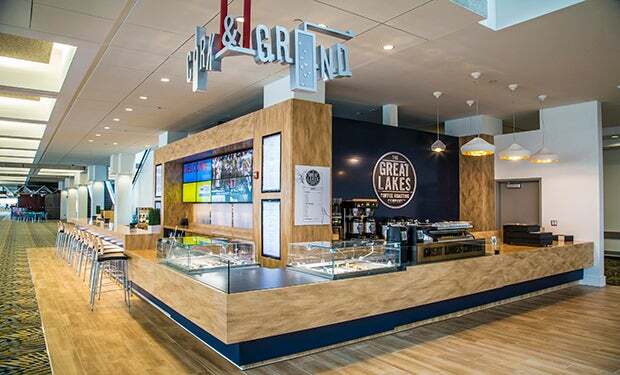 Also included is new 8,000 square foot kitchen with a private tasting room, where customers can work with the Cobo culinary team to develop custom menus for their event. Secure parking with optional valet service is available on-site in attached parking areas. Your event will be assigned a Cobo Center Event Manager to assist with details, and several of the Detroit area's best decor companies are at your disposal. 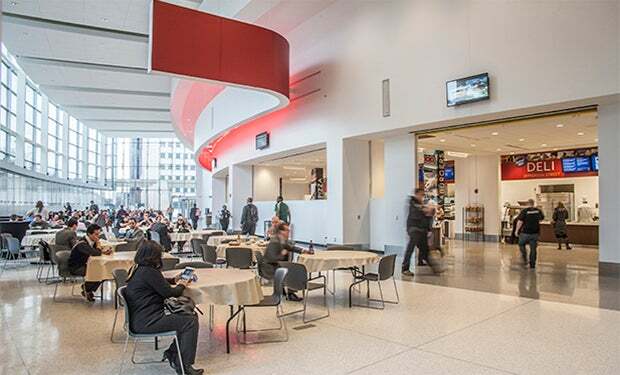 In 2015, Cobo Center was the ninth convention center to become certified to the GMIC ASTM/APEX standard, and provides Green Event support to all customers. Cobo Center and Centerplate are pleased to partner with Forgotten Harvest, the Detroit area's premier non-profit agency dedicated to relieving hunger and waste by rescuing surplus, prepared and perishable food (1.9M lbs. of food monthly) and donating it to emergency food providers, including food pantries, soup kitchens, homeless and domestic shelters, children's homes, senior centers and group homes. Serving Wayne, Oakland and Macomb counties in Michigan, delivery vehicles cover 2,000 miles a day in their efforts. Prepared but unserved food from Cobo Center events is donated to Forgotten Harvest regularily, as well as surplus food supply. If water is required in meeting rooms, it must be ordered in advance through Centerplate. Water on head tables and centrally located water stations in hallways are provided complimentary if ordered in advance. Fully catered food and beverage events include the set-up of tables, chairs, risers for a head table, lectern, wired microphone and use of house sound systems; along with white table linens, white or black cloth napkins and china service. 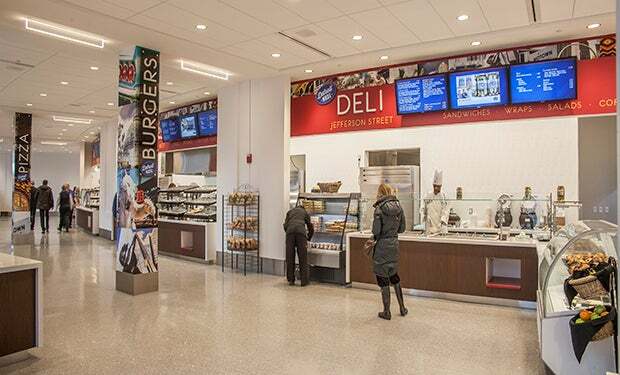 All food and beverage service areas in exhibit halls and on the main concourse are accessible, open and operating during public shows unless prior approval to close them is granted by Cobo Center. For public shows, 5% of the floor space must be allocated to concession areas. Centerplate may be reached at 313-567-3880.